Yellowstone may have more points of interest than any other place in the country. Yellowstone Lake is the largest high-altitude lake in the North America. Forests stretch for miles. The park teems with wildlife, from bears to bugs. 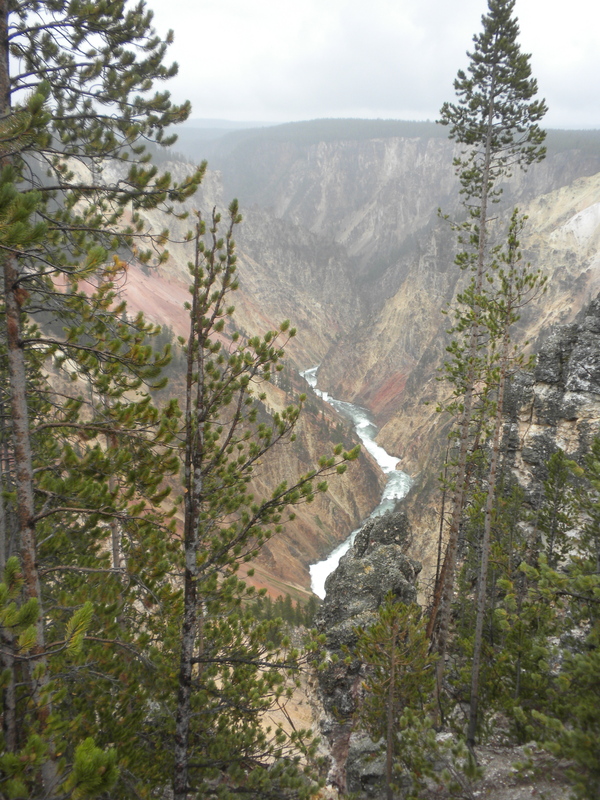 And Yellowstone even has its own Grand Canyon. Old Faithful doing its thing. But what sets it apart are the geysers and numerous other geothermal features. We made the obligatory pilgrimage to Old Faithful, which blew pretty much on schedule. I gather it’s not as faithful as it used to be. Maybe it’s a reflection of the secular times in which we live. Probably Obama’s fault. 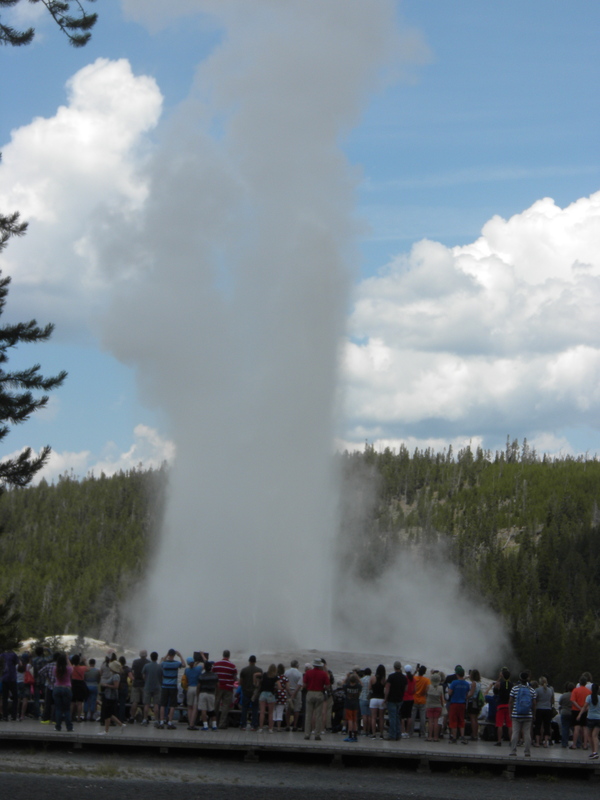 I found it interesting that people began leaving while Old Faithful was still blowing. These must be the same people who spend three hours at the Grand Canyon. We also visited an area called the Mud Volcano, which included the eponymic feature and a number of others, including the Dragon’s Mouth Spring and the Black Dragon’s Caldron, which suited their names. These features are not only constantly active, but many of them change over time and change the character of the park. We saw one place where a hot spring appeared to have developed in the middle of a parking lot. We didn’t see any bears — which was OK with us — but we did see elk and lots of buffalo. 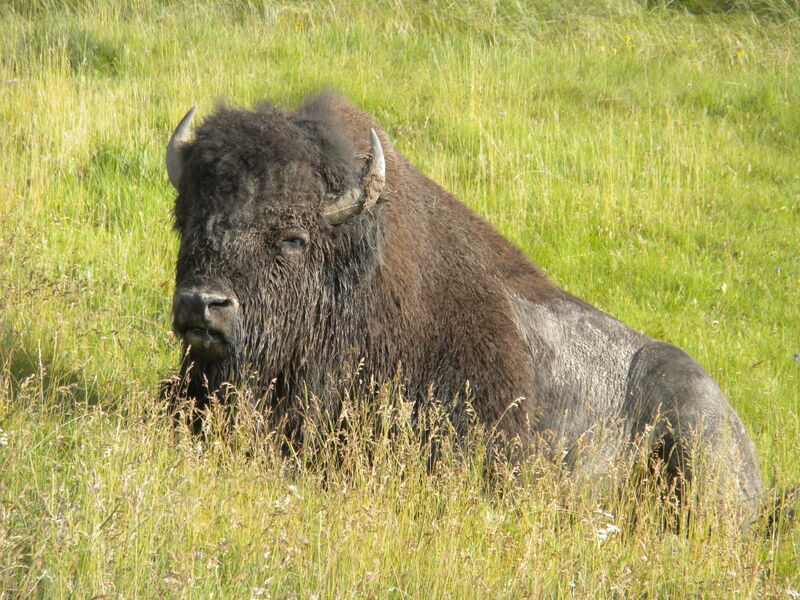 In fact, there are so many buffalo along one road that it can take two hours to travel 20 miles or so. We took to calling this the bison back-up. 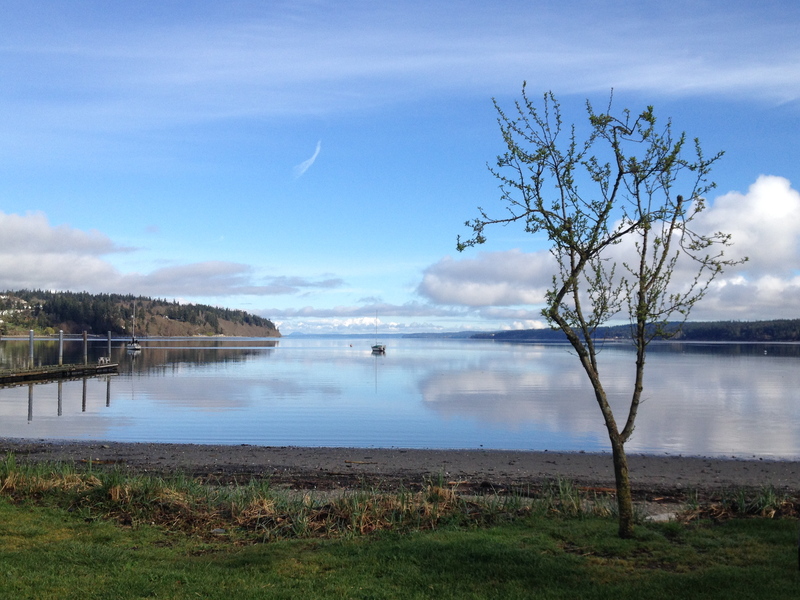 It’s as slow as I-5 or the D.C. Beltway at rush hour but the scenery is much nicer. We camped at Bridge Bay, near Yellowstone Lake and just down the road from the Fishing Bridge, which is closed to fishing. It was a nice, if somewhat noisy, campground, but on our first day, after we came back from sight-seeing, someone had stolen the steps that we use to get in and out of the camper. We often leave things in camp, and this was the first time we had ever had anything stolen. Fortunately, we had taken our camp chairs with us or they might have disappeared as well. We definitely want to go back, sans dog, when we can take more time. But we won’t be leaving stuff in camp again. From Yellowstone, we continued west, into the Bitterroot to visit a family shrine, which I’ll explain in my next post.